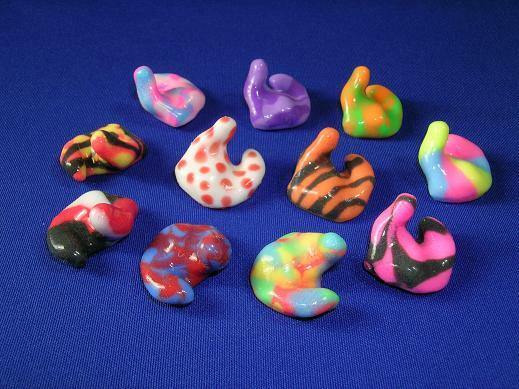 Most commonly made of our Catamaran Floatable material, these ultra-soft plugs are bright and vibrant, available in solid colours or a multitude of patterns. Handles and cords are available at no extra cost; and a carrying case is always included. If clear swim plugs or plugs with sparkles are desired, Silicone II is also available with all of the same options as Catamarans, however they do not float. For more information on what colours we offer, please click here. 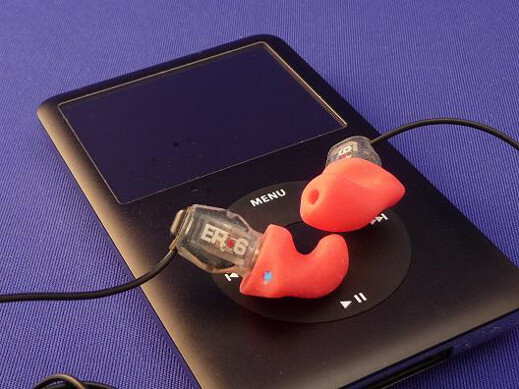 For unparalleled true-to-life sound quality, custom buds can usually be made to fit the headphones for iPods or other music devices (depending on the size of both the ear and headphones), and for sound systems for professional musicians. Maximizing comfort and sound quality delivered, these systems also help to isolate the user from ambient sounds. The specific model to be used must be sent in to the lab to ensure a proper fit; and the completed system will be returned. Many jurisdictions in Canada and the U.S. have forbidden the use of cellular telephones while driving unless used in conjunction with a hands-free system. 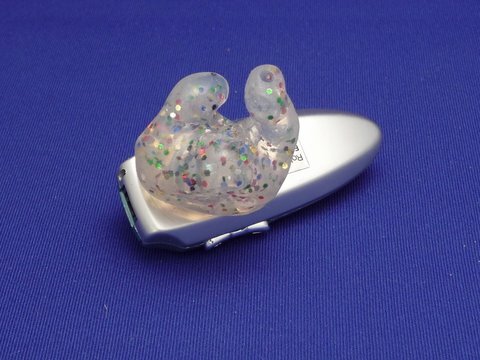 Our technicians can manufacture a custom-fitting earpiece to attach to most of these units; resulting in greater comfort, and better sound quality. The specific model to be used must be sent to the lab to ensure a proper fit; and the completed system will be returned. Molds for police and security services, air traffic controllers, television prompters, and telephone operators. 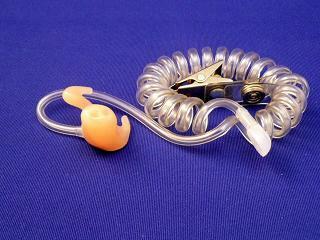 Available with an optional IFB (coiled) tube with shirt clip, and snap-in Male or Female adapters. For use with Plantronics' MS50 series or comparable headsets, these molds feature an adjustable bar to mount the headset onto. 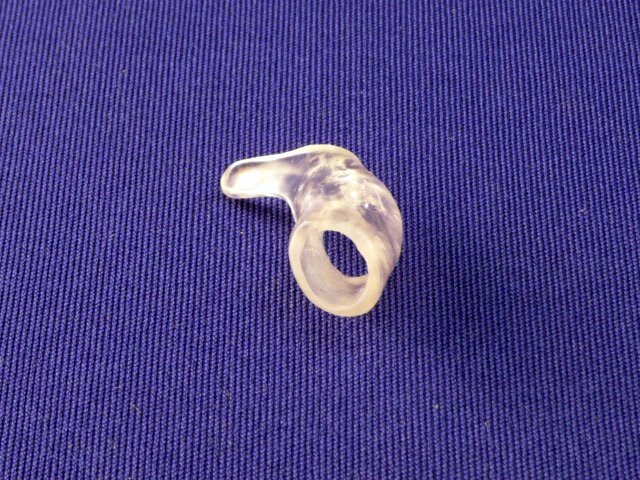 Predominantly made of Hard Clear, these molds are available in any of our hard or semi-soft Acrylic materials. 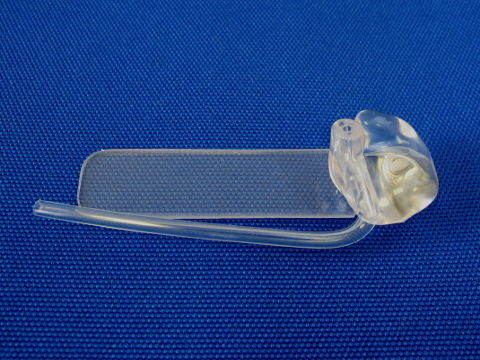 This type of mold is used to open a prolapsed canal, or to maintain the ear’s shape after surgery. A completely open canal is used to allow the most possible sound to reach the eardrum. The most popular style is Skeleton; and a hard material such as Hard Clear or Medicryl is required. A series of custom adapters are available for those in the medical profession to increase the sound quality and comfort of stethoscope tips; with options for clients both with and without hearing losses. Please contact the lab to discuss any individual cases - some methods require special impression-taking techniques.